Malcolm Brogdon, Josh Richardson, Norman Powell, Jordan Clarkson, Nikola Jokic, Draymond Green, Khris Middleton, Jae Crowder. Since the 2012 draft, the previous players have been taken in the second round, well behind players who are less effective as NBA pros. 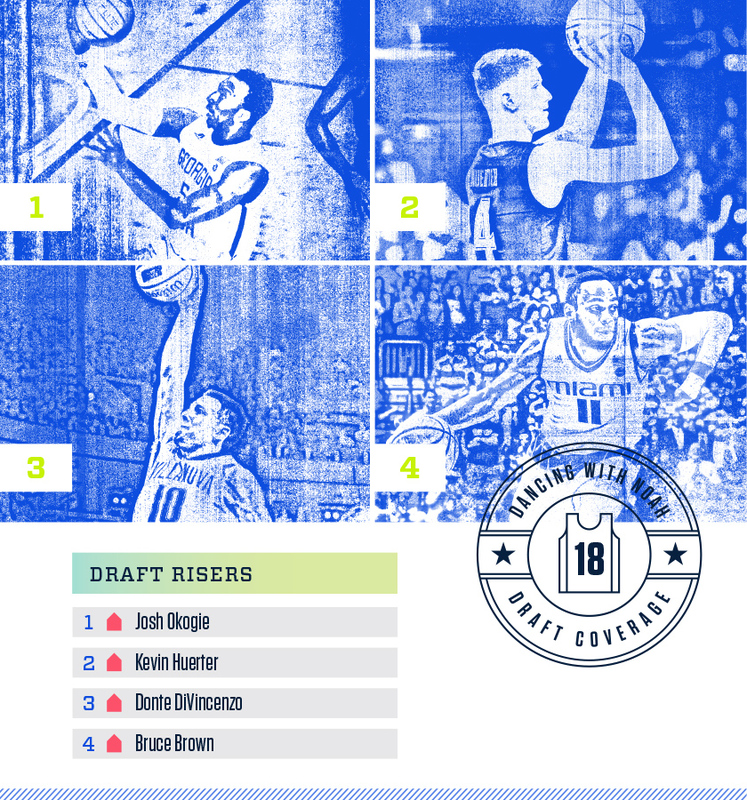 The draft isn’t a crap shoot, but with a crush of 19-year-old freshmen leaving college every season (11 of the top prospects in 2017 are freshmen, five of the top eight were freshmen in 2016, 11 of the top 13 in 2015, six of the top seven in 2014), the sample size to scout these players against top competition in a competitive setting is small. 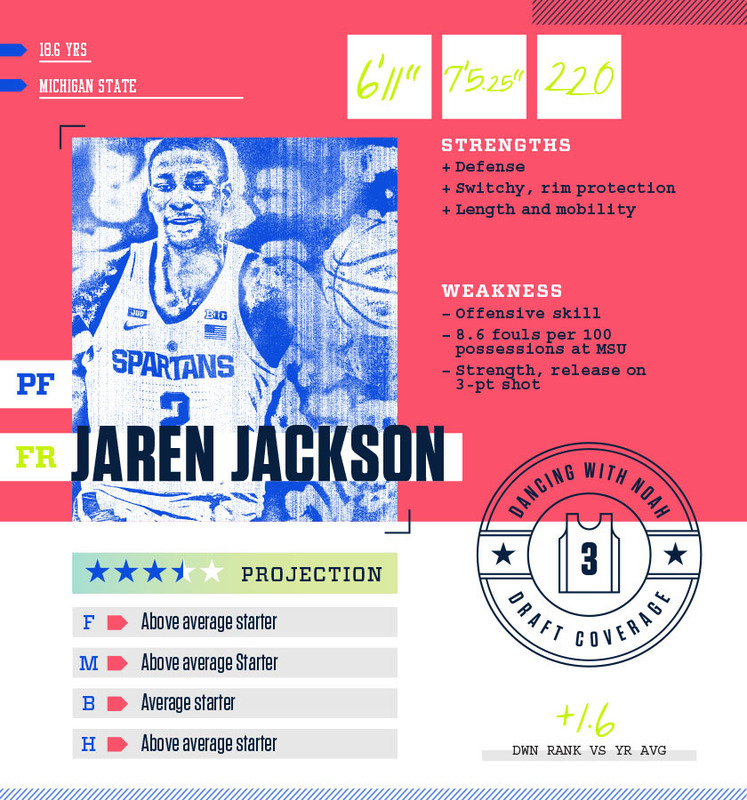 Against that backdrop, I’ve teamed up with a few friends (Bug, Hamilton, and Maahs) to create a Big Board of the top-20 prospects in this year’s draft and over the next four weeks, scout these players in a series of posts. 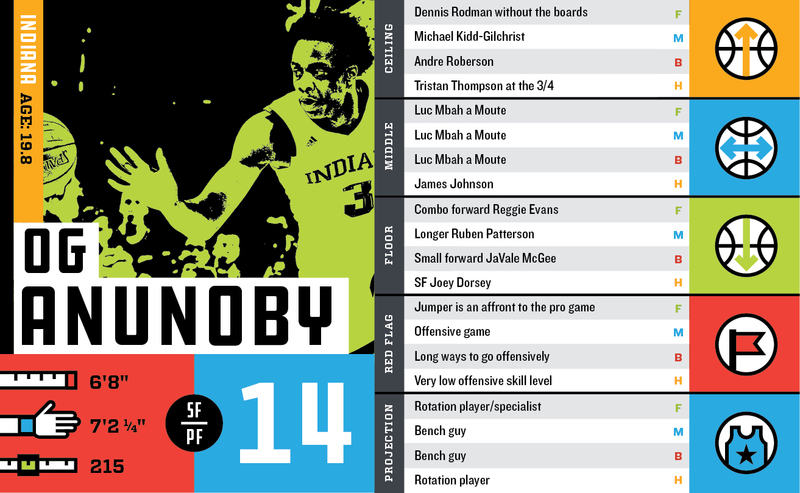 I lay out the above premise, that projecting NBA prospects has become an exercise that runs 90-players deep, to show the depth to which the league goes now in finding productivity and value. In the 2016-17 season, 88 different players who saw time on an NBA court were classified as rookies. The number was 73 in ’16, 82 in ’15, 78 in ’14, 78 in ’13. The draft is just 60-picks so what we’re seeing is close to an entire round worth of new players coming into the league each season. 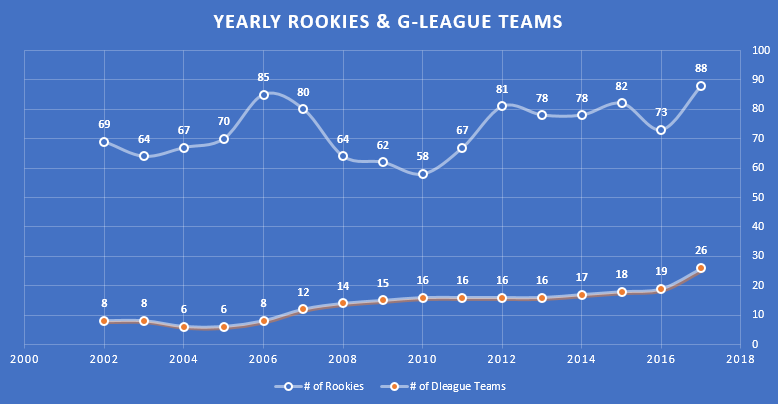 The introduction of G-League-to-NBA team affiliations is up to 22 for 2016-17 and will rise to 28 by 2019. 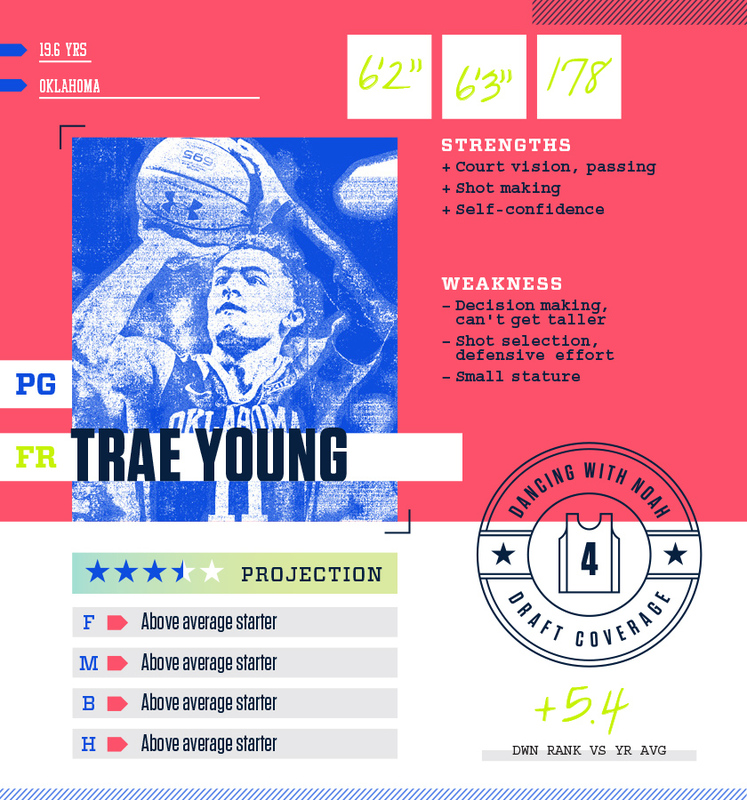 Combine that with two-way contracts (creates two additional roster spots and adds both team and player benefits that allow G-League players to make more money while giving the team flexiblity in bringing a player up to the NBA team without having to commit to an NBA salary until after 45 days – stipulations apply) that were created with the latest CBA agreement and there are more domestic pro basketball opportunities available. 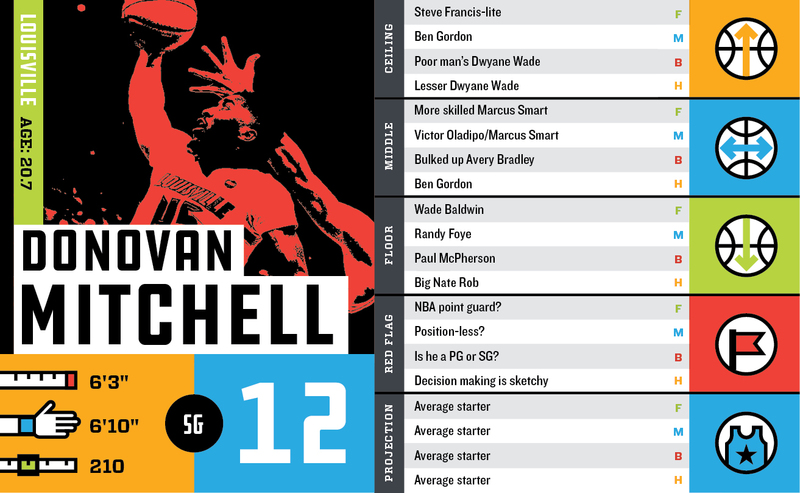 All of the above means that the 20-player big board we’ve put together below is not comprehensive. We’re four people, three of us have children, and we’re all gainfully employed. 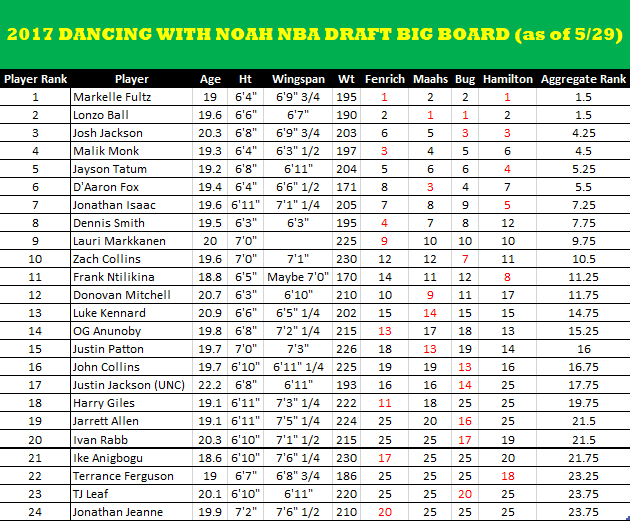 Effective scouting, even with the copious tools that Draft Express puts out, isn’t just about identifying talent. The combination of team and scheme, opportunity, chemistry, player commitment and discipline – it’s a complex equation with few, if any, guarantees. 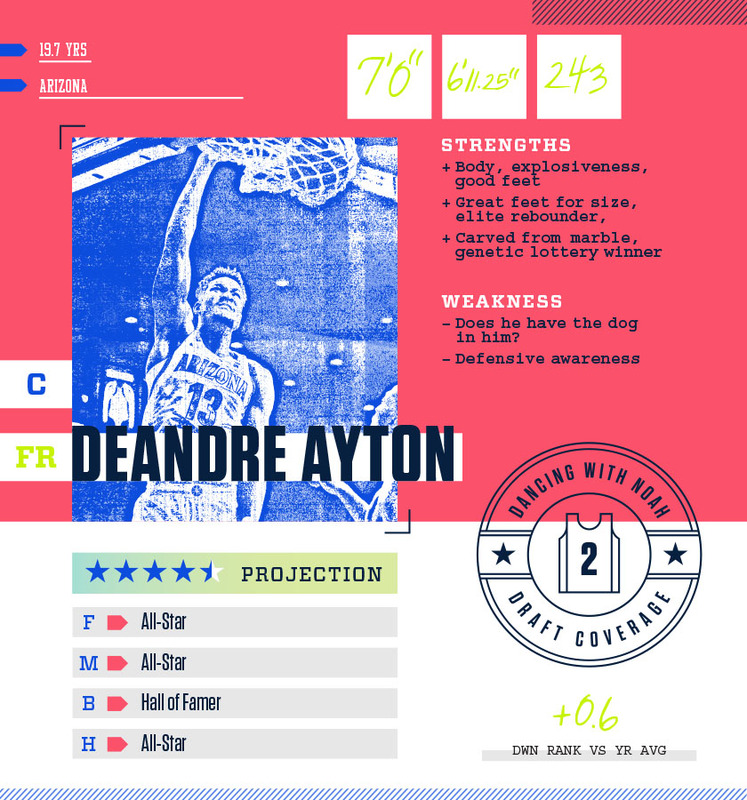 And even if a team lands on a player and tries to cultivate him through the G-League, there’s still no guarantee they’ll figure out how to best tap that player’s potential in their particular system. Hassan Whiteside and Seth Curry are examples of players who were both late NBA bloomers and squandered by NBA teams. Whiteside was drafted 33rd in 2010, found himself out of the league in 2013 and is arguably a top-five player from his draft class. Curry wasn’t even drafted and played on four teams before latching on in Dallas as a productive member of NBA society this past season. 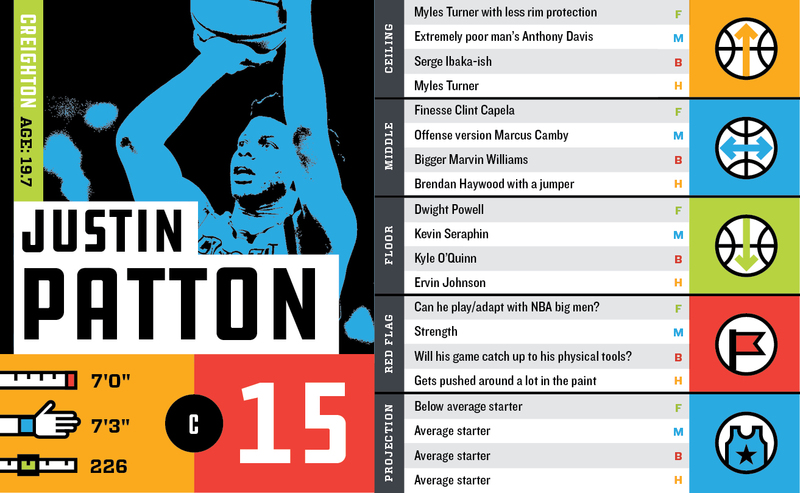 Caveats and qualifications aside, at the aggregate level, there’s not much variation from Draft Express or The Ringer’s big boards. This isn’t to say there’s not individual deviation, but collectively that our views converge with status quo. 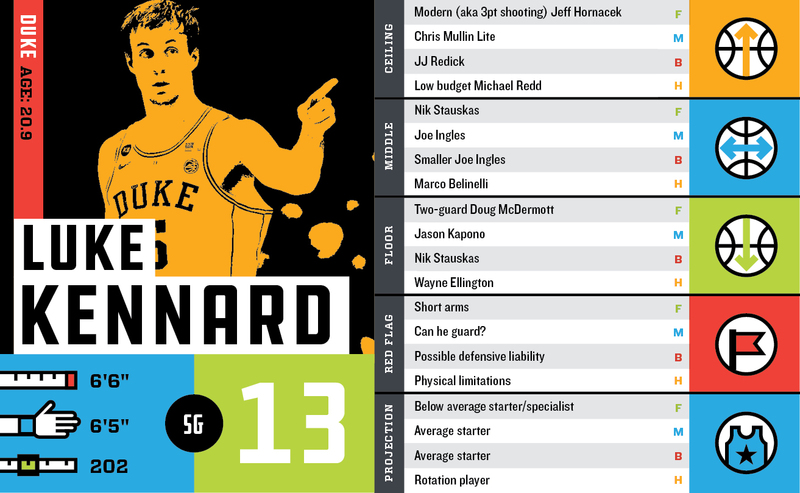 As we get into deeper analysis over the next few weeks, we’ll go into more player-specific detail. 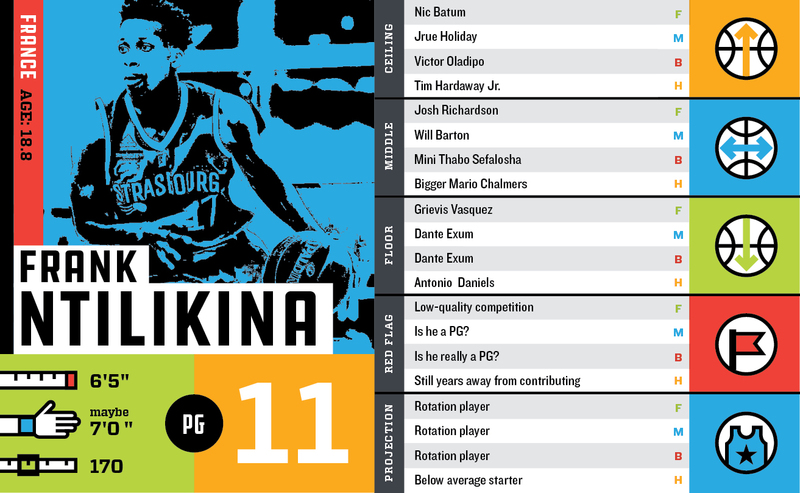 And because a cap of 20 prospects is woefully inadequate, where time and life allow, we’ll explore deeper cuts like DJ Wilson, Jawun Evans, Semi Ojeleye, Kobi Simmons, Sindarius Thornwell, Monte Morris and others.